More than a million injured post-9/11 veterans may be eligible for VA mortgages – but the majority aren’t taking advantage of the benefit, according to new data from mortgage banker American Financing. “VA loans, which were introduced in 194 as part of the GI Bill, make it easier for those who have served our country to buy and stay in a home – and it’s striking to see the extent to which they’re so vastly underutilized by those who need them most: our wounded warriors,” said Tim Beyers, a mortgage analyst at American Financing. 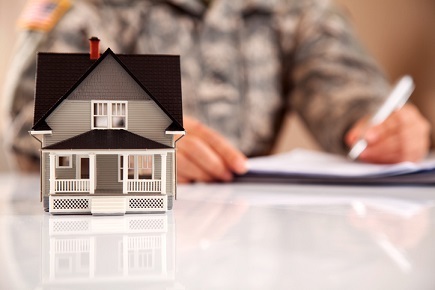 All active-duty and retired service members are entitled to housing benefits including VA loans. But those deemed by the VA to be at least 10% disabled are due even more benefits – including an exemption from VA loan funding fees, which can add up to 3.3% to the amount borrowed on a loan, according to American Financing. But only about 16.8% of post-9/11 vets have actually used a VA loan, according to 2014 data from the National Center for Veterans Analysis and Statistics. And given the benefits of the program, that number should be higher, according to Greg Vogel, a manager for American Financing who’s also a disabled veteran. To read American Financing’s full report on unclaimed VA loan benefits, click here.